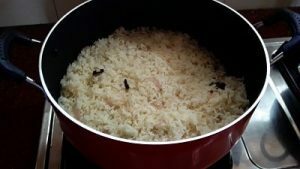 Ghee rice is very simple and easy to make. It needs a spicy chicken curry gravy to go along with it. First wash and drain all water from the rice using a strainer. Then fried the cashew, raisins and onions. 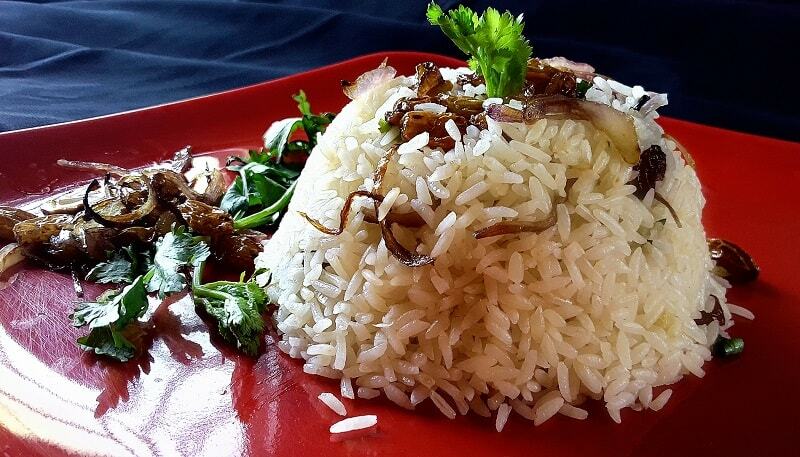 The main thing for making ghee rice, do not over roast the rice and the quantity of water. 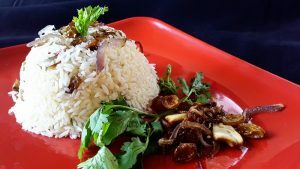 OK let’s see the very simple and perfect ghee rice recipe with images. 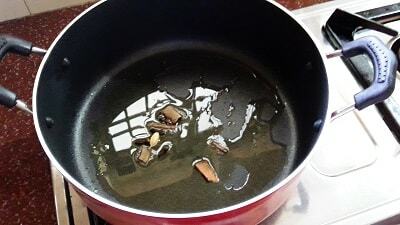 Heat ghee in a pan; Put some cinnamon, cloves and cardamom. Allow it to sputter. Then add sliced onions and chopped ginger, saute until the onion is transparent. Add the washed and drained rice, saute for 2 minutes in low flame. Add 2 cups of hot water. Then add salt, close the lid and cook until the rice is soft. Remove in to a serving bowl. 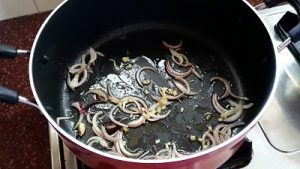 Garnish with fried cashew, raisins and onion. sprinkle some coriander leaves. Next Post: Kerala Beef Roast With Coconut.